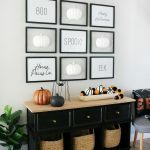 A couple weeks ago I showed you how easy it was to Create Meaningful Decor with Shutterfly, it featured my new gallery wall with some really fun pieces I created specifically for the space. 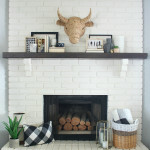 Today I’m sharing some quick tips for creating a great gallery wall and all the rest of the details of my Black & White Gallery Wall. 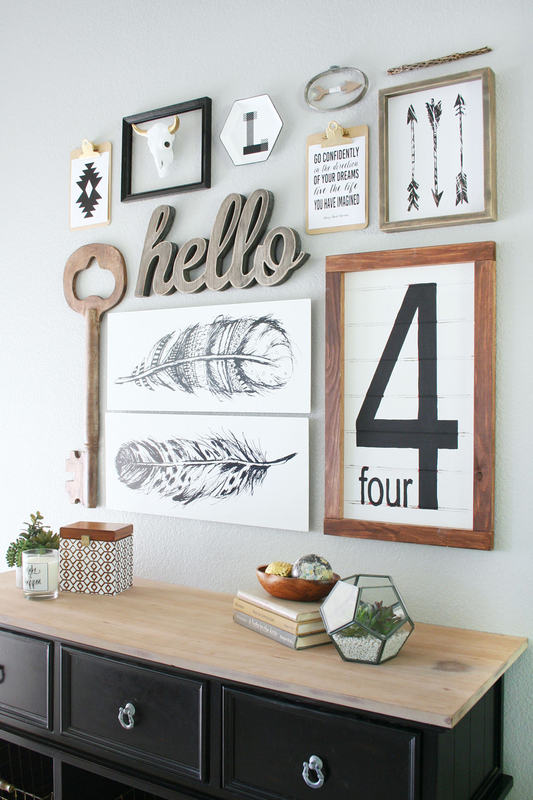 A gallery wall can be full of collected items centered around a particular theme, or it can feature items that are more sentimental and personal. 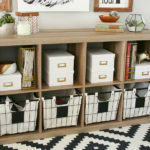 If you are going for a gallery wall centered around a theme consider collecting items that focus on a certain color palette, unique items that will add character to the space, and items that have different shapes and sizes. 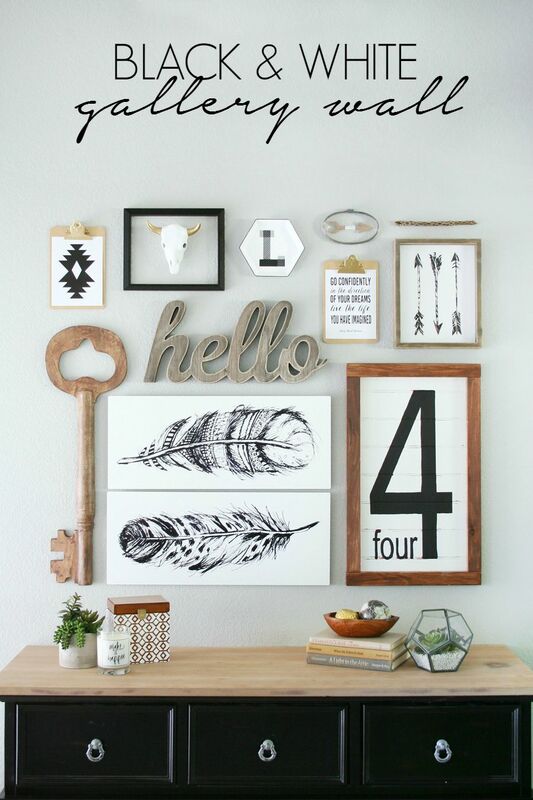 A gallery wall that is more sentimental will feature more personal items like family photos, and family mementos all while still keeping in mind that you should have a variety of sizes to work with when placing items together. My gallery wall is located in my entryway which also happens to be a part of my craft studio. I kept the color pallet simple with black, white, and wood tones. 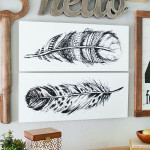 One of the focal points of my new gallery wall is the black and white feather prints I printed at Shutterfly. Like I mentioned in my previous post, each feather represents each of my sons. I love the brush marks, and small Aztec details they have. Another one of my favorite parts is the huge number sign. This was actually a project we made at a local craft night I hosted last year, it was a project guest’s could purchase and craft that night. The number 4 represents my sweet little family and it’s precious to me. Since this wall sits across from where I work most days in my craft studio I wanted it to motivate me with the items I placed in the design. The giant key is from Target a year or two ago, it’s huge and it’s amazing…it reminds me of unlocking my dreams. 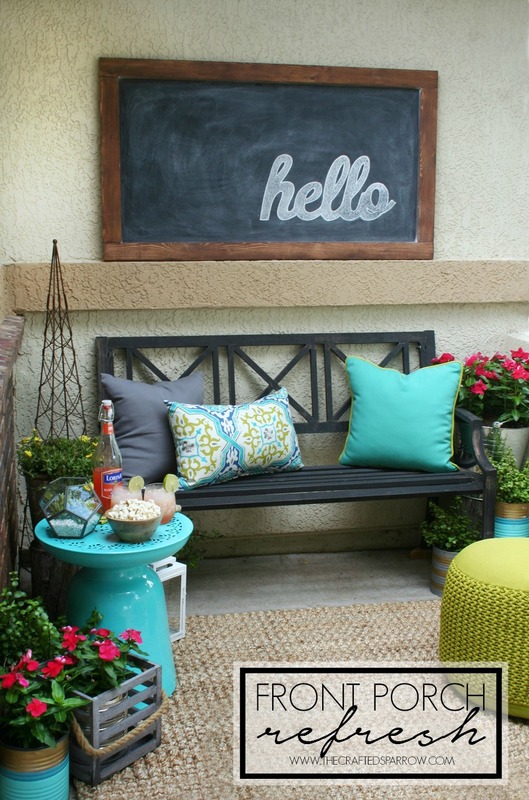 Another fun piece is the “hello” sign from Hobby Lobby, it’s perfect in this spot. The small hexagon sign with our family initial was a dollar store sign that said “fresh eggs”, but the shape was perfection so I painted it with some chalk paint and added some black vinyl with a fun font. The font I used for it is called Homestead Display. Small clipboards I found at OfficeMax were perfect added into the mix, I just painted the clips on the board gold with some spray paint and added some prints I created. The Aztec print and Inspirational quote will be available below for download if you’d like your own to print. The small cow skull is a Goodwill find turned awesome with some spray paint. He’s one of my favorite things, I’ve held on to him for several years in hopes he’d find a home on my walls someday. I styled the entry table with simple decor as to not take away from the gallery wall. 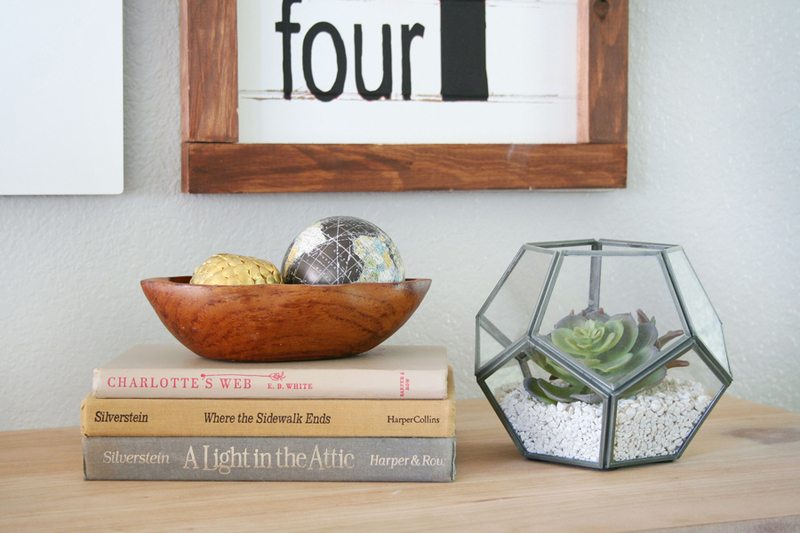 A geometric terrarium from World Market filled with white gravel and faux succulents, and a stack of my favorite vintage childrens books and a small wood bowl (Goodwill find). A small concrete planter with more faux succulents sit on the other side of the table. I love this little plant, it’s simple and the perfect height for this table. 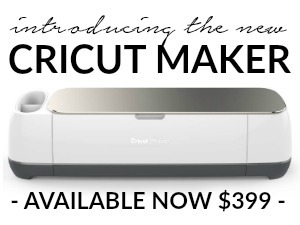 The custom candle was another Shutterfly project I created with a simple quote. 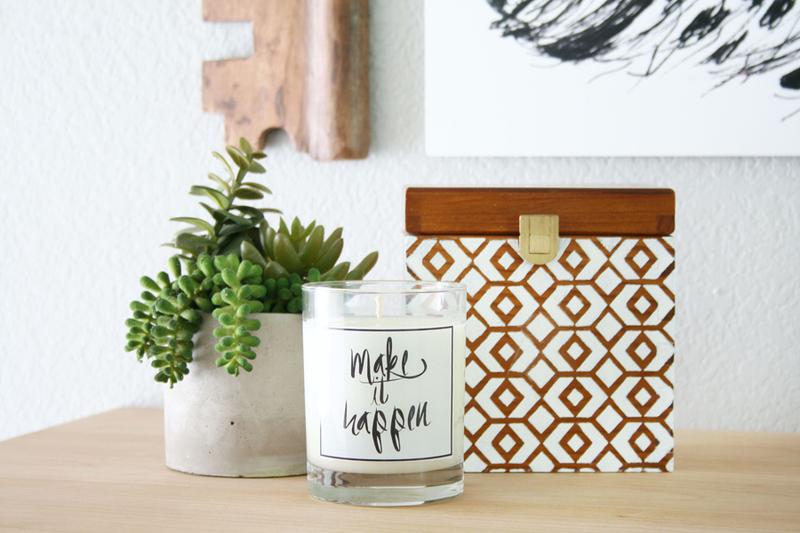 That cute Stenciled Wood Box is an old project, also a Goodwill find made even better with paint. 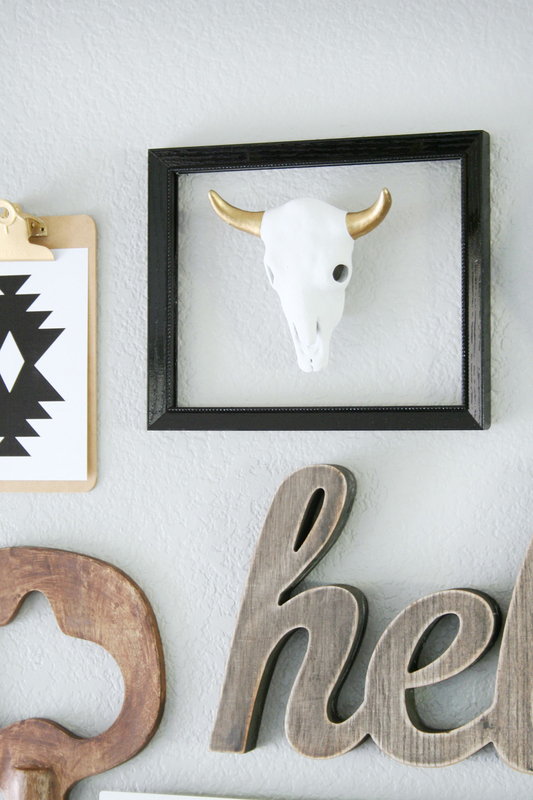 Putting together a gallery wall doesn’t have to be stressful. If you have trouble with placement of items or you are unsure of how things should look try tracing all your objects and items on wrapping paper or butcher paper. 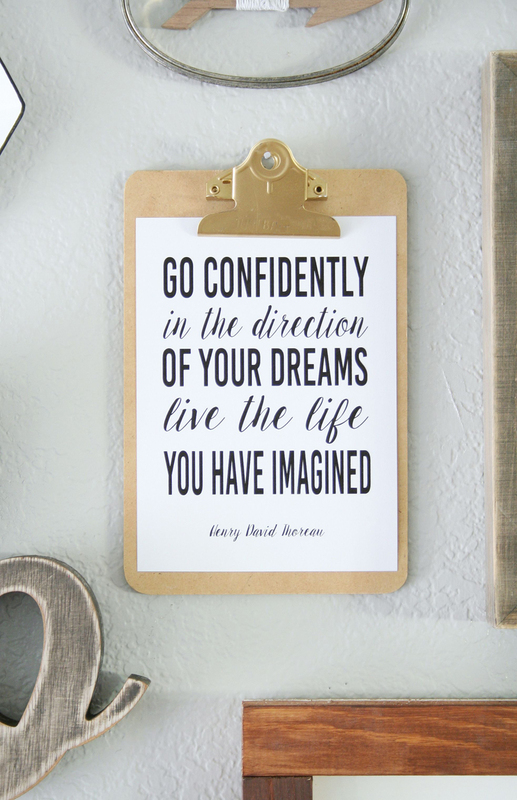 Then cut it out and tape them to your wall where you want them. If you’re like me then you just lay it out on the floor and hammer the nails in the wall as you go. Be sure to keep all items equally spaced if possible. You don’t want the items to be too close, but they shouldn’t be more than 2″ apart from each other. I typically prefer asymmetrical designs when planning a gallery wall, not everything has to line up. As long as it’s spaced properly an asymmetrical design can be perfection. For my wall, I wanted more of a symmetrical design which is not what I would normally do, but I felt with this huge wall and entry table it needed to be aligned with the table. Don’t hesitate to play around with your design, move things around until you get the look you want. It took me a couple try’s before I got the final look I wanted, and I’m so happy with how it turned out. 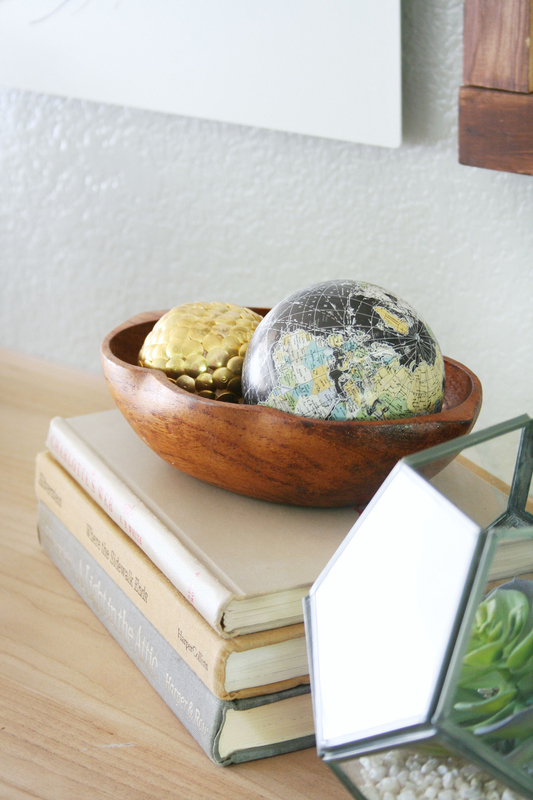 It’s one of my favorite home decor projects to date. 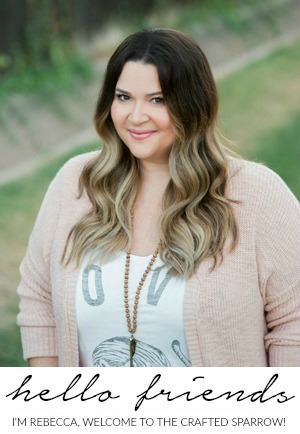 Hi Hannah! 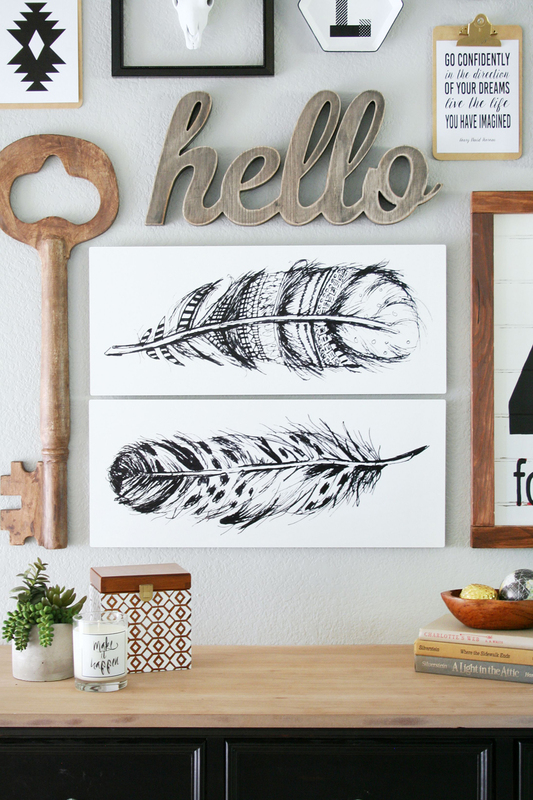 I am obsessed with these feathers. How can I get them? 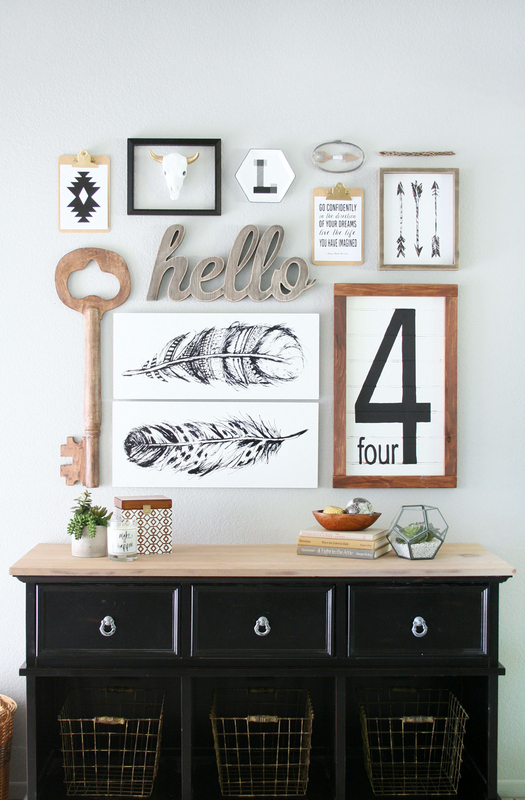 where can the feathers prints be purchased? I love those & have been looking for just that! Wow, this is gorgeous! And, right up my alley — totally obsessed with black and white. Great job! Okay, I think this is now my favorite gallery wall! 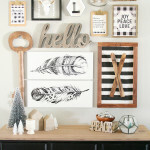 I love all the black and white, wood tones and textures. It’s beautiful! thanks for sharing, I love your wall gallery! I am in love with your gallery wall. Gives me great inspiration to finish mine. 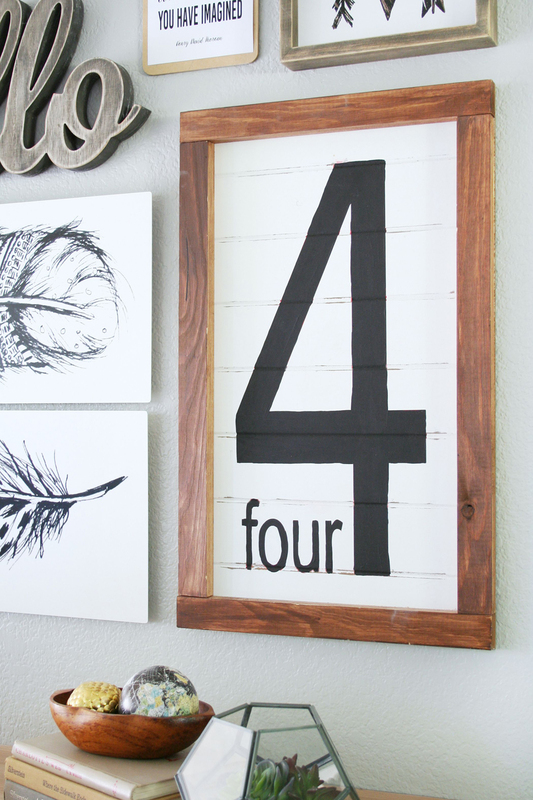 Are the feathers printed in canvas or regular paper? I love this by the way. You did an amazing job! Genius! My family number is 4 too! 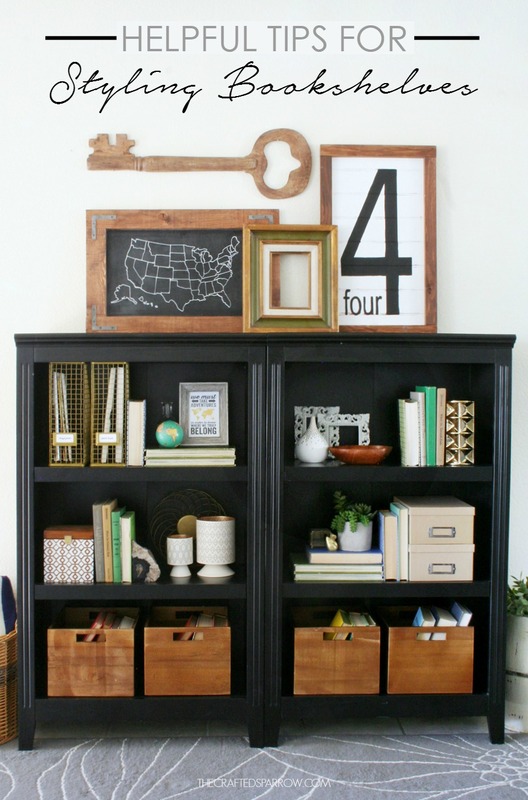 I love all of the different elements you used to create this stunning display! Thank you so much Trina! Isn’t that 4 awesome, it’s one of my faves! Have a great week. Hello. I love your gallery wall! I downloaded your feather prints and attempted to make the metal prints in shutterfly. It’s telling me my resolution is too low. Is there something I’m doing wrong? Thank you! Beautiful! I love it. Can you tell me where you got the side board dresser in this design? I am looking for a space filler for my wall. What is that located above the 3 arrows pictures? It’s perfect for what I’m looking for.